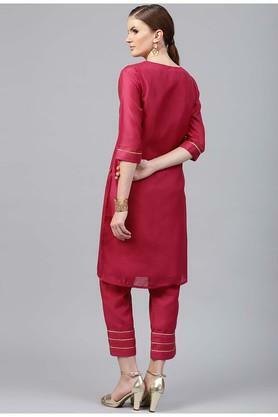 Add an extra dose of style to your wardrobe collection with this kurta and palazzo set from the house of Juniper. 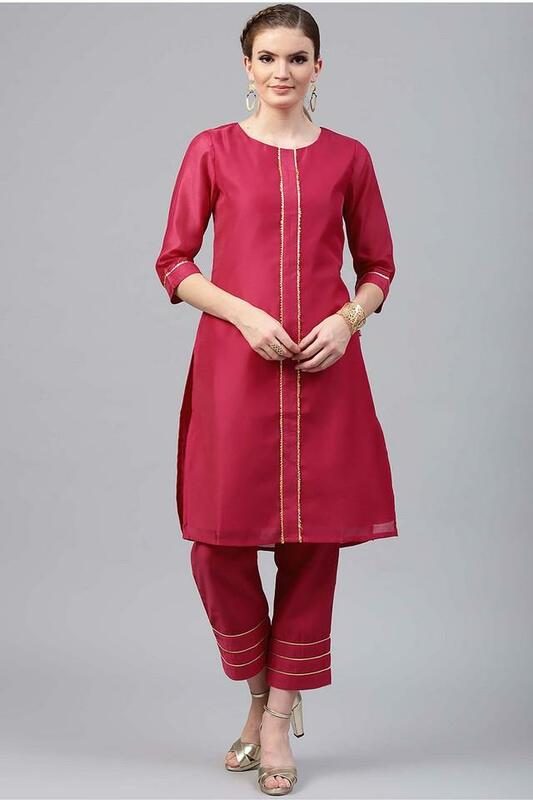 The kurta features a solid pattern along with a round neck that makes it look fashionable. Besides, it has been tailored with a superior quality chanderi fabric that will keep you at ease all through the day. Flaunt a stylish look by wearing this kurta and palazzo set on any casual outing with friends or family. Designed to perfection, it will go well with a pair of flat sandals.